One of the many benefits to building with Homes by Tradition is access to our very own in-house designer, Danielle Matthies. To kick off this beautiful Spring weather, she was kind enough to let us pick her brain on some of her favorite things! 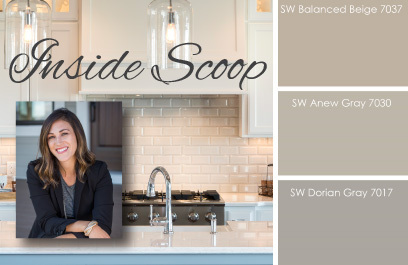 Here are 5 questions we asked her to get the inside scoop on design! WHAT ARE YOUR FAVORITE TRENDS IN THE INDUSTRY RIGHT NOW? Brushed gold – There is something warm and understated about it. It is such a transitional finish that compliments a number of styles and looks amazing against almost any color! Whites – There is a natural timelessness to the color white. From countertops, to cabinetry, and all the way to your home décor, we are seeing a lot of it this Spring! Natural stone & warm wood tones are also on my list! WHAT ARE YOUR FAVORITE COLORS TO USE? I have 3 different GO TO Sherwin Williams colors that I love to use! Balanced Beige 7037 – The perfect beige color with a true brown hue. It doesn’t show undertones of gold, green or pink that you see in some beige colors. Anew Gray 7030 – This is your in between color. Not too gray not too brown, otherwise known as greige. 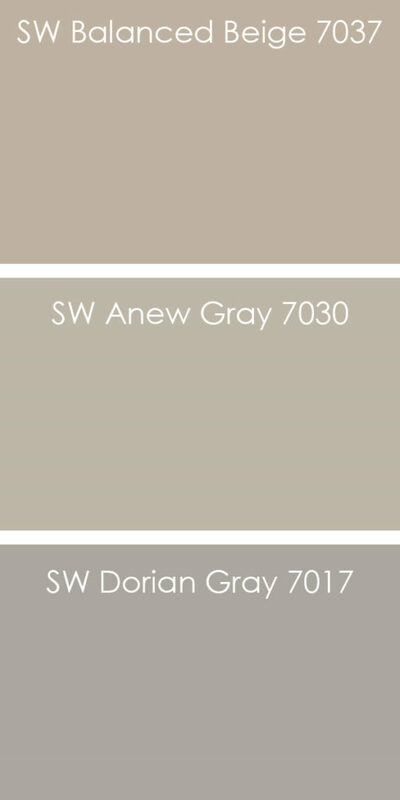 Dorian Gray 7017 – A true gray. This color doesn’t have any blue or green undertones and translates exactly how it looks on the swatch. WHAT ARE YOUR FAVORITE SPACES TO DESIGN? Kitchens – A lot of time is spent in our kitchens. Whether you are cooking family meals, helping your children with homework or entertaining, the kitchen is the hub of the home! 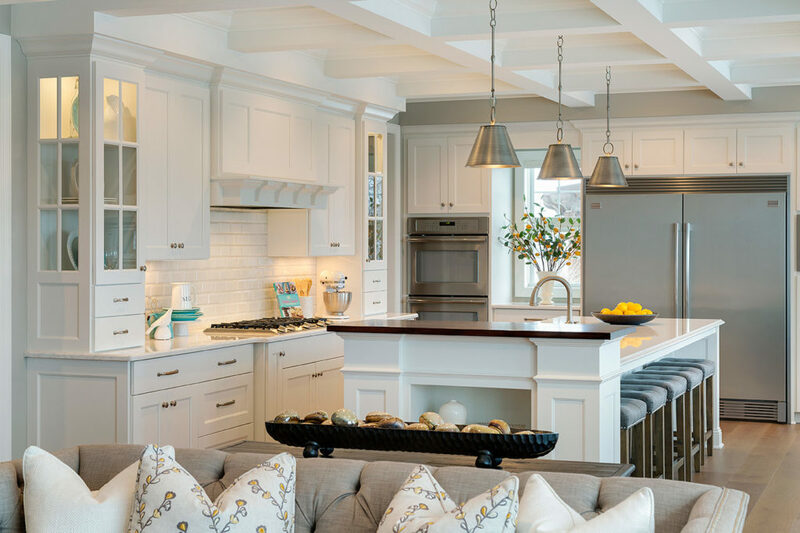 When designing this space, there are so many areas to look at that it pushes me to think outside of the box in creating the perfect layout, storage space, cabinetry designs, lighting and more! Laundry rooms – For all you moms out there…laundry is a never ending task! 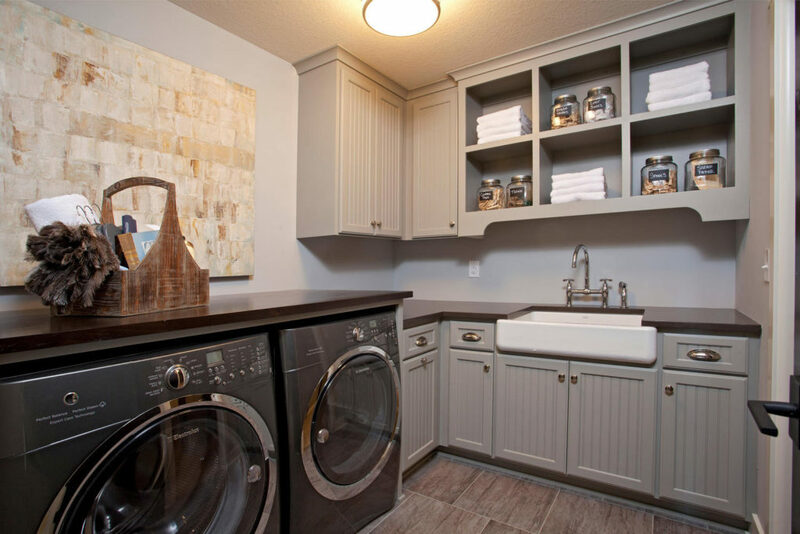 The laundry room is the perfect place to have fun and be playful with selections. I love trying fun patterns with flooring or adding a pop of color to the cabinetry and/or lighting! Design trends are always changing, so I attend multiple vendor hosted seminars and conferences throughout the year to make sure I stay up-to date with the industry. Houzz and Pinterest are also great tools that I’m constantly following for inspiration and trends. WHAT TIPS DO YOU HAVE FOR PEOPLE LOOKING TO FRESHEN UP THEIR HOMES? DECLUTTER! As the saying goes, less is more. Find pieces you really love instead of excessive amounts of little things to fill the space. You don’t have to do everything at once. Start with one thing at a time. 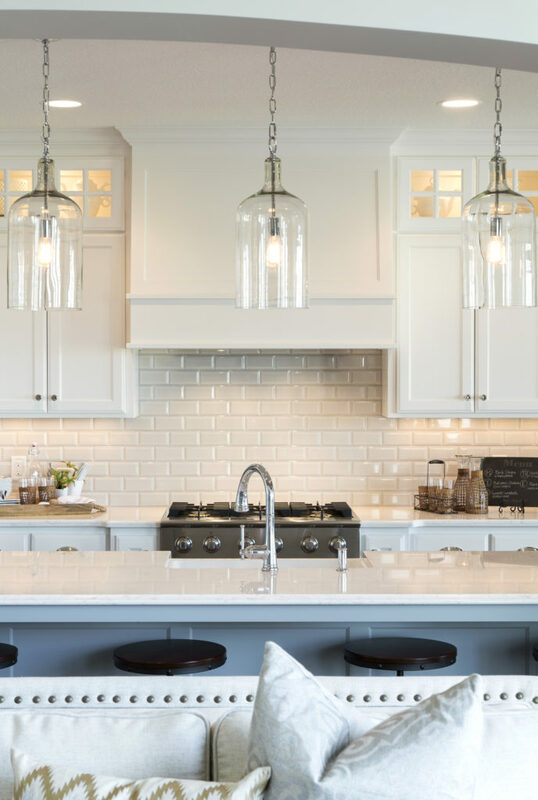 Whether it is paint, changing out cabinet hardware, lighting or décor, doing one thing at a time will help slowly freshen up the space while still being cognizant of costs. If you have larger remodeling projects in mind, CONTACT US! From kitchens, to master bathrooms or lower level finishes, we would love to help you with your project. To see more of our homes, check out our PHOTO GALLERY!